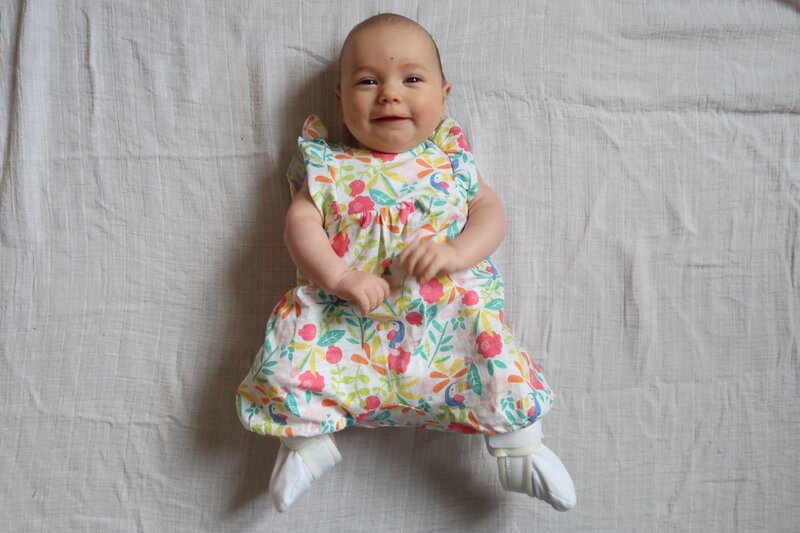 If you’re a regular reader of my blog and a follower of my Instagram profile, then you’ll know that my youngest daughter, B, was diagnosed with Developmental Dysplasia of the Hips (DDH) at 6 weeks old. She was fitted with a Pavlik harness at 12 weeks old, which she wore for six weeks. 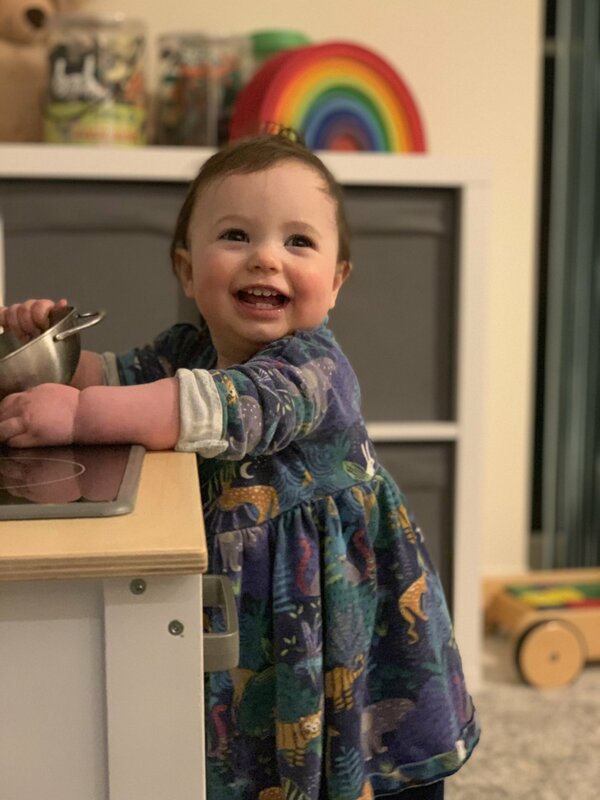 B is now 12 months old and last week, we visited the hospital for an X-ray and a meeting with the orthopaedic surgeon, to check her progress. We last saw the orthopaedic surgeon when B was six months old, so I was fairly confident of what to expect from the appointment. First of all, we took ourselves off to the radiology department for B to have a pelvic X-ray. Fortunately, we didn’t need to remove her nappy, she stayed nice and still and we were out of the room within five minutes. We then made our way across the hospital site to the children’s outpatient department. After a long wait, we saw the orthopaedic surgeon. He examined B’s X-ray and physically examined her hips by manipulating them in different directions. The doctor told us that he’s very pleased with B’s X-ray. 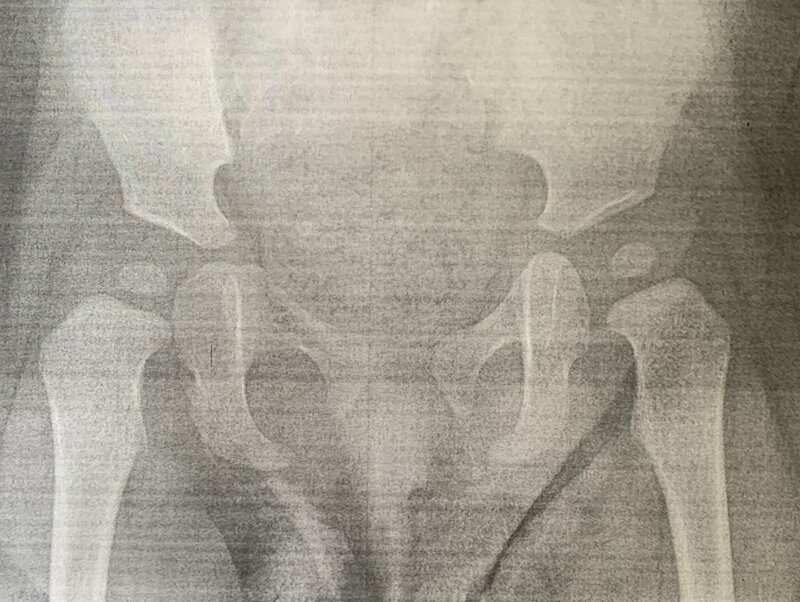 As you can see, the ball part of the hip joint has formed nicely on both sides, which it hadn’t yet done at six months (which is all normal). The orthopaedic surgeon was also pleased to hear that B has been standing independently and cruising around the furniture. In fact, in the week since this appointment, B has taken her first few independent steps. Of course, I’m excited for her that she’s starting to walk, but I’m also pleased because it shows that her hips are developing well. As for the orthopaedic surgeon, he’s told us that he’s satisfied with B’s progress and that we’ll see him again when she’s just turned two. If everything is normal at that stage, then she’ll be discharged from outpatient care. The doctor reassured me that it’s very unlikely for anything to go wrong once we’ve got to this stage, but I’m glad that they’re being extra cautious and making sure that her hips are in perfect health, before she gets any older. When B was first diagnosed with hip dysplasia and fitted with the Pavlik harness, I was so worried about how she’d cope and whether it would work for her. We were told to expect her to wear it for at least twelve weeks. So while I was thrilled that she only needed it for six weeks, there was a bit of a niggle in the back of my mind that it might have been removed too quickly. It’s a great relief to know that her hip development is now progressing normally, and reassuring that the hospital are keeping a close eye to ensure that continues. Now we just need to wait until next year to be sure that the Pavlik harness has done its job perfectly, and in the meantime I can preoccupy myself with two mobile children, under the age of three! 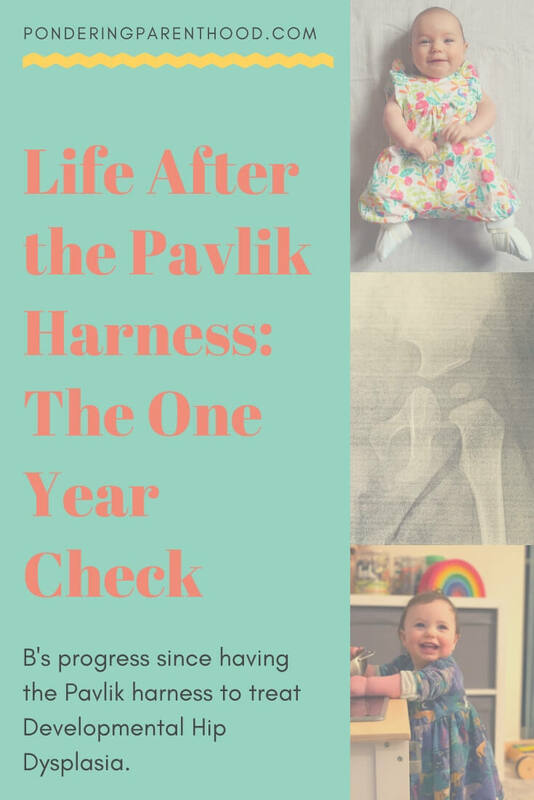 If you have any questions about the Pavlik harness or our DDH journey, please leave a comment or send me a message on Facebook or Instagram. And if you’ve found this post useful, please remember to Pin it! "Pondering Playtime // Gardening with a Toddler"